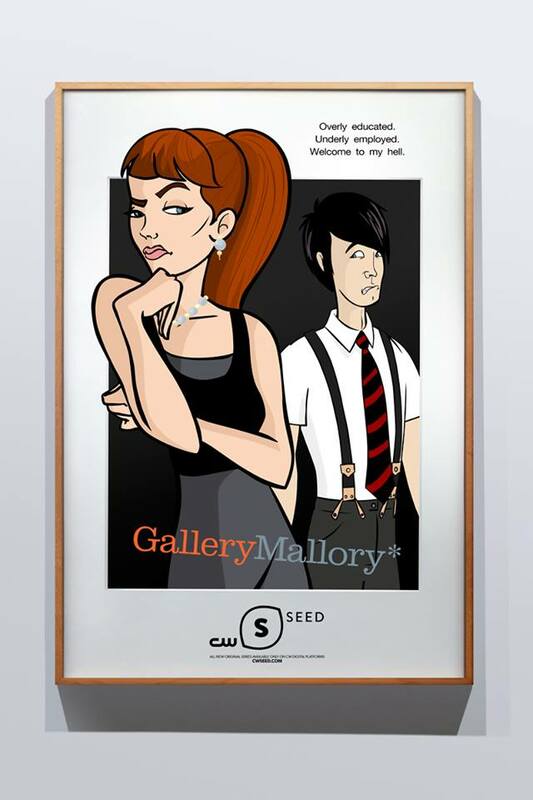 In the pilot episode we are introduced to the owner of an art gallery in SoHo named Mallory and because she’s in such an exclusive neighborhood she gets top-end clients. In this case we get to meet Aquaman himself Mr. Justin Hartley as he comes in and asks to buy a painting, but Mallory seems to have a hard time letting go. Evidently, she has hallucinations that her artwork can talk and the piece Justin wants convinces her to let it go even without requiring payment. Just another day at the office! Overall, the series has some decent-sized paint stroke to use in order to really turn this new series loose. Rachel Bloom (Robot Chicken) does an awesome job like always behind the mic as she plays the titular role as ‘Mallory’ and although we don’t get to see a lot of Fernando yet I can already see that Jason Nash is going to be an important cog in this show’s future if its to get a pilot and series on the real CW as he has to play another of different characters and in good animated shows those people are invaluable. The intro song by the Dollyrots is catchy as hell and fits the show perfectly and Sugarshack Animation definitely seemed inspired by Archer when it was creating the look and feel of the characters which is not a bad thing believe you and me. My only gripe with the episode was that it was only four minutes long, and as such now I wonder what a 22 minute episode would look like? Would the series be more of a workplace comedy or could we see these characters used in a variety of settings? I guess all of the aforementioned things could be solved by doing one thing…make more.